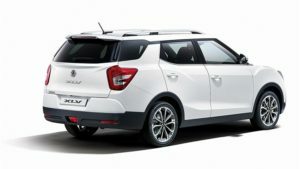 Looking for a simple way of applying for finance on a new or used SsangYong? Charters allow you to completely finance your SsangYong online. Your details are fully secured through our rock-solid 256-bit SSL encryption and the form allows you to order your next SsangYong without leaving the comfort of your own home. Online SsangYong finance is just another thing we cheerfully do at Charters. If we can improve our online finance application process, we urge you to share with us your thoughts. Discover a better way of financing your next car; be it on hire purchase, contract hire or personal contract purchase. You can even stipulate your desired deposit and payment levels as well as include a part exchange valuation. It only takes five minutes to complete and is fully secure. Please note: If the form does not submit, please check through your answers carefully as you may have missed an item. Press the button below to complete your application.In considering your enquiry, we may search your record at a credit reference agency. They may add to your record details of our search / enquiry and this will be seen by other organisations carrying out later searches. It is important that you give us accurate information. We may check your details with fraud prevention agencies and if you give us false (or inaccurate) information and we suspect fraudulent behaviour we will record this. Charters and other organisations may use and search these records to help make decisions about credit and credit related services. You have a right (on payment of a fee) to receive a copy of the information we hold about you if you wish to apply to us in writing. If you have questions about your application, call us on 0118 402 4780. If you are unable to submit the form, please go back through the application and ensure you have answered every question. Need a car but can’t get credit?